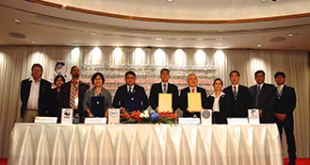 Since the signing of the Joint Declaration of Intent for the “Gulf of Thailand Longtail Tuna (Thunnus tonggol) Fishery Improvement Project” in May 2018, the Inception Meeting was recently held on 13 November 2018 in Bangkok, Thailand. 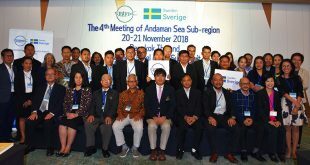 The Meeting was co-hosted by four partners, namely: the Department of Fisheries (DOF) of Thailand, Thai Tuna Industry Association (TTIA), World Wide Fund for Nature (WWF), and SEAFDEC, with the financial support from the Government of Sweden. A total of 40 participants from various stakeholders from government, NGOs, producers, buyers, and SEAFDEC attended the Meeting. 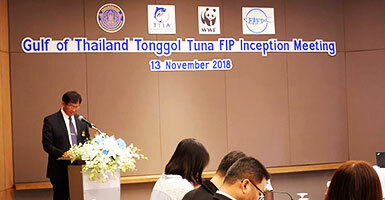 The Meeting provided an overview of fishery assessment and stakeholder engagement efforts to date, and reviewed the Marine Stewardship Council (MSC) pre-assessment and gap analysis and associated Action Plan for Gulf of Thailand longtail tuna fishery. 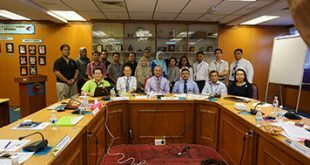 The Meeting boosted the knowledge about the application of international sustainability standards and helped to improve cross-sector collaboration and enhancement of fishery traceability and advanced implementation of both national and regional conservation and management of longtail tuna. At the Meeting, SEAFDEC provided the progress of the regional effort towards the sustainability of neritic tunas in the Southeast Asian region such as the implementation of the Regional Plan of Action on Sustainable Utilization of Neritic Tunas in the ASEAN Region (RPOA-Neritic Tunas), stock assessment, as well as actions at regional and sub-regional levels.